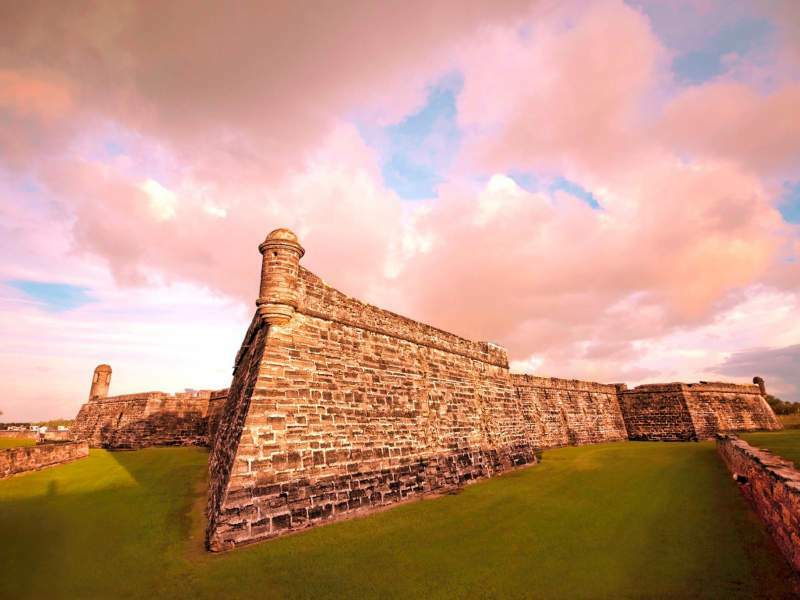 History comes alive in St. Augustine, Florida. Red brick roads, century-old churches, forts where soldiers still walk the grounds and horse-drawn carriage rides transport you back in time. Head just out of town and you can soak up the sun along 42 miles of pristine Atlantic beaches. Bring your loved one and get caught up in the area’s timeless romance, or bring your golf clubs and hit the numerous championship, St. Augustine golf courses. If you’re planning a historic St. Augustine vacation, check out the following golf courses and accommodations. Created by the legendary Arthur Hills, the Palencia Club is one of the most exclusive courses in St. Augustine. Carved out of 200-year-old oak trees, this course offers golfers a challenging layout as they go through their round of 18. With winds that blow off of the Intracoastal Waterway, you need to have good shot accuracy for this course. The meticulously maintained course will offer you many picturesque views. After your round, stop in the clubhouse to visit an informal café that spills out onto the Village Green, and a bar and grill overlooking the ninth and 18th green. Designed by Clyde Johnson, the St. Johns Golf & Country Club offers a first-class golf experience centered around Florida wetlands, lagoons and towering pine trees. With five sets of tees, including a family tee, this course is suitable for golfers of all skill levels. Before you hit the links you can touch up your game at the practice facility, which includes instruction from PGA Certified Professionals, a 10,000 square foot putting green, a double-sided driving range and practice bunkers. Don’t compromise space and comfort on your vacation when you stay at the Residences at World Golf Village. These condos offer amenities such as whirlpool baths, full kitchens and all the comforts of home. The Residences are located in the heart of World Golf Village, which offers seven restaurants, an IMAX Theater and the Golf Hall of Fame. The World Golf Village is home to two of Florida’s most renowned courses: King & Bear, designed by Arnold Palmer and Jack Nicklaus, and Slammer & Squire, designed by Sam Snead and Gene Sarazen. Ready to plan your St. Augustine golf vacation? See everything the historic city has to offer.